The Cameo 3 Door wardrobe is in a shaker style and is a perfect addition to any bedroom. The stone white lacquered finish gives a clean classic look and can be matched with any decor. The wardrobe features a durable hanging rail the full width of the wardrobe with a large shelf above the hanging rail for additional storage. Behind the 3rd door there are 3 adjustable shelves. The doors are finished with ergonomic handles. The wardrobe has to the top and bottom small magnets to help keep the doors closed. Тhe Cameo 3 Door Wardrobe is supplied flat pack but is easy to assemble using the instructions provided. 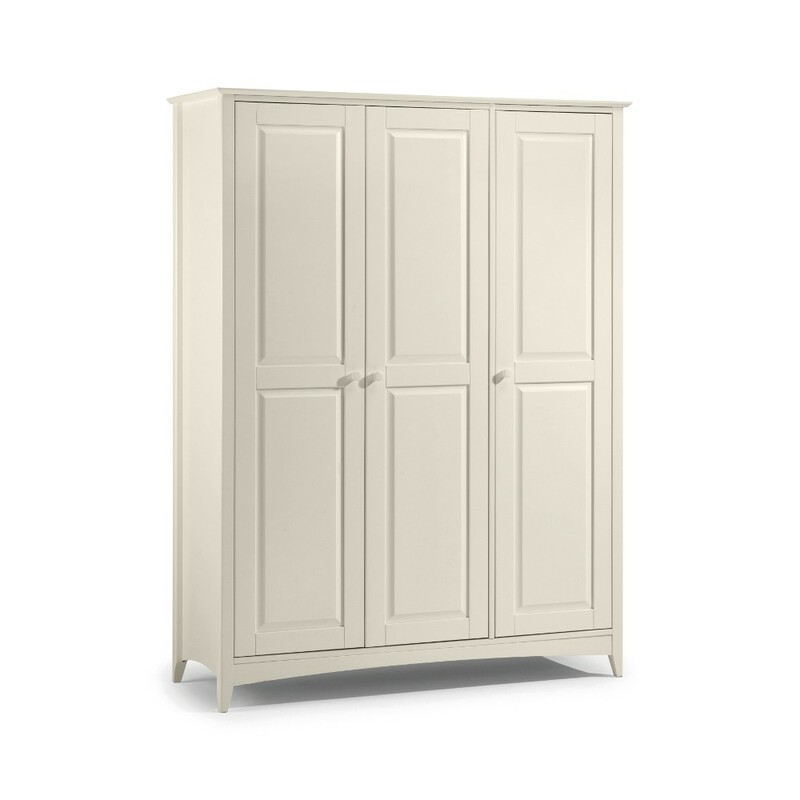 The Cameo Stone White 3 Door Wardrobe is part of the Cameo Nursery, Cameo Children's and Cameo Bedroom Collections.